Item # 316954 Stash Points: 2,695 (?) This is the number of points you get in The Zumiez Stash for purchasing this item. Stash points are redeemable for exclusive rewards only available to Zumiez Stash members. To redeem your points check out the rewards catalog on thestash.zumiez.com. 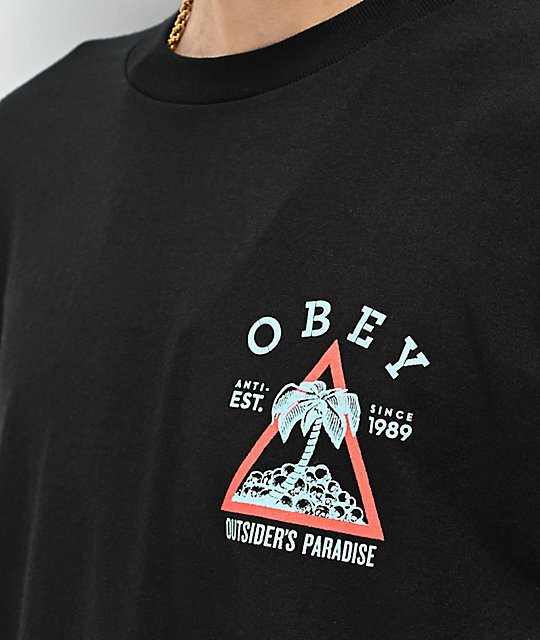 Grab another must-have look from Obey with the Outsiders Paradise Black T-Shirt from Obey. 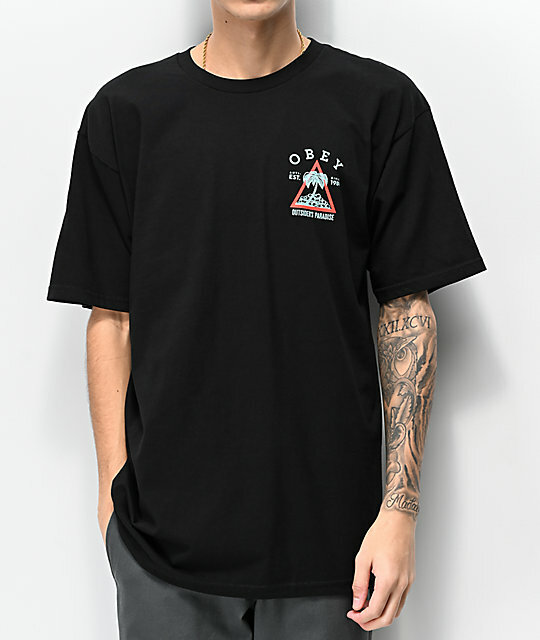 This black tee features matching screen-printed graphics at the left chest and back of a red triangle with a palm tree surrounded by skulls in the middle, along with Obey logo text. A relaxed fit and crew neck collar keep this t-shirt comfortable and is sure to complete your streetwear-inspired style. 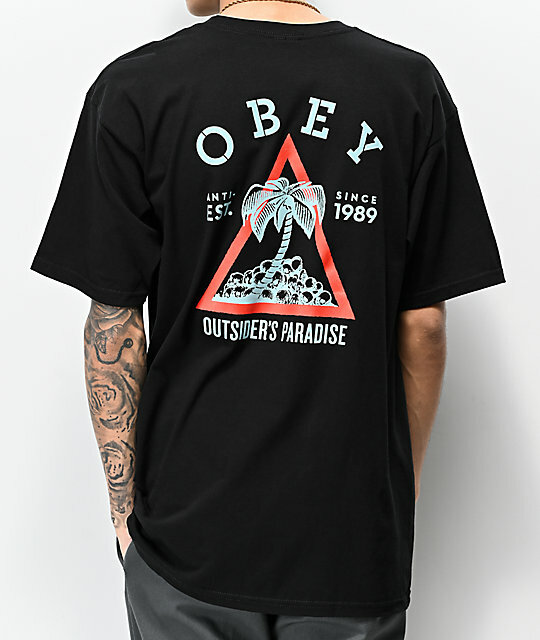 Outsiders Paradise Black T-Shirt from Obey.